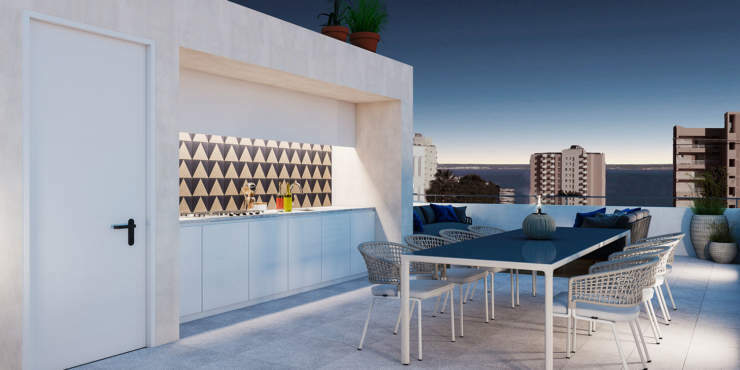 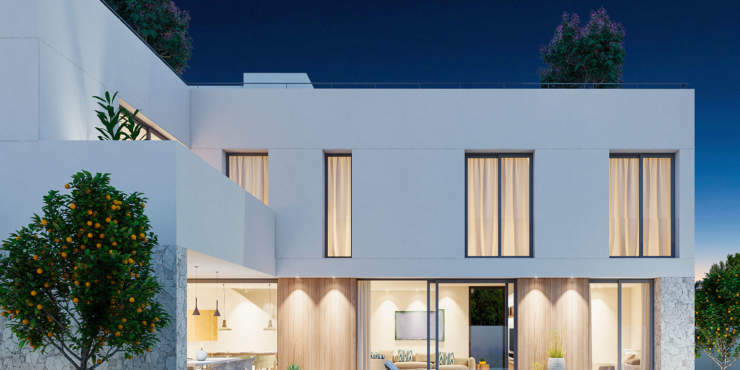 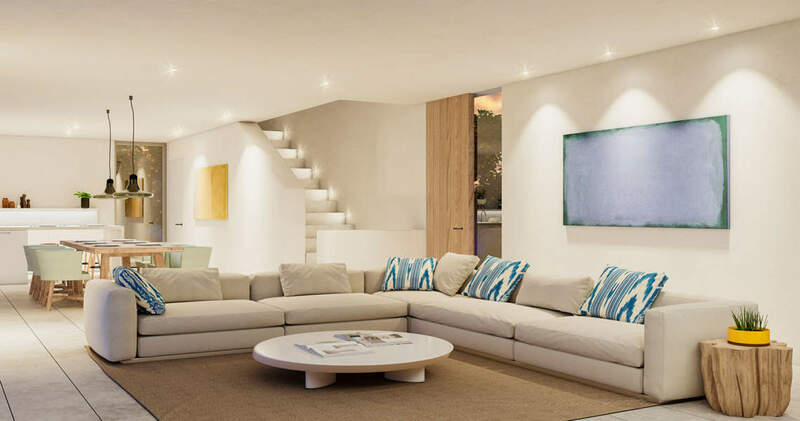 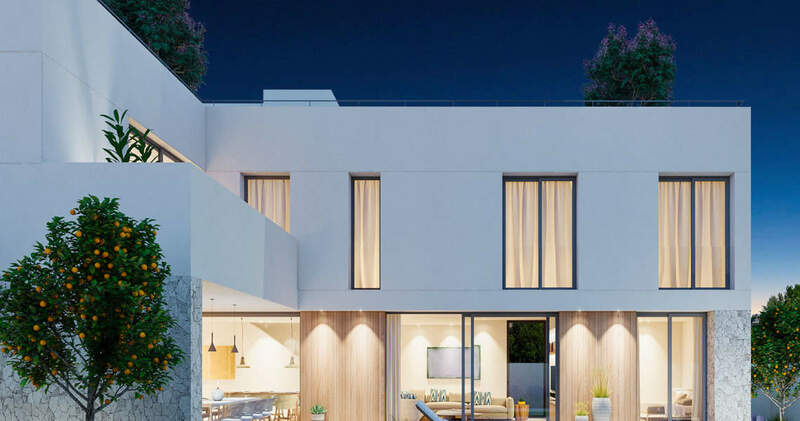 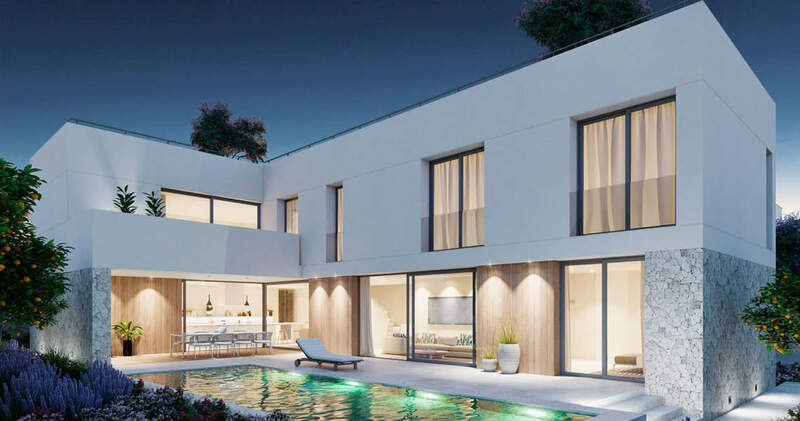 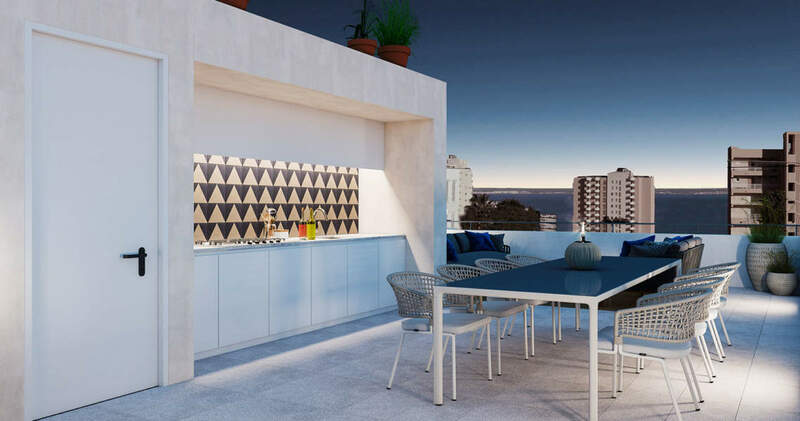 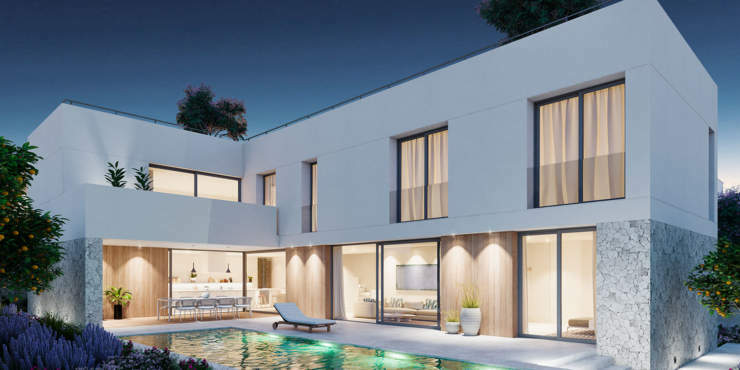 In the quiet residential area of San Agustin, just a 5-minute drive from Palma, a new project for the construction of a sophisticated villa will take place. 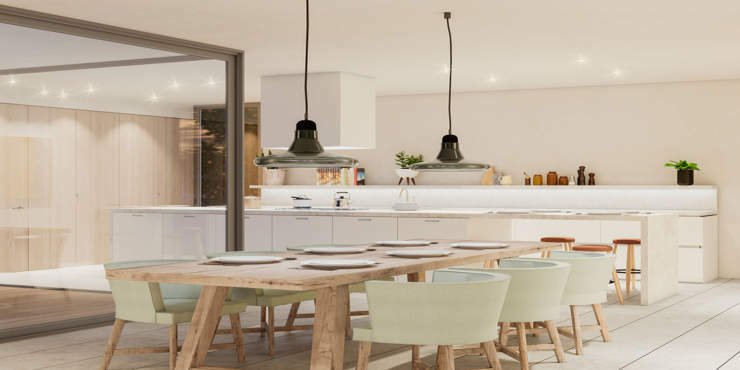 The neighbourhood offers easy access to pretty bays and beautiful beaches plus, numerous bars and restaurants as well as supermarkets and shops for everyday needs are on the doorstep. The Cala Nova yacht marina is just a short stroll away. 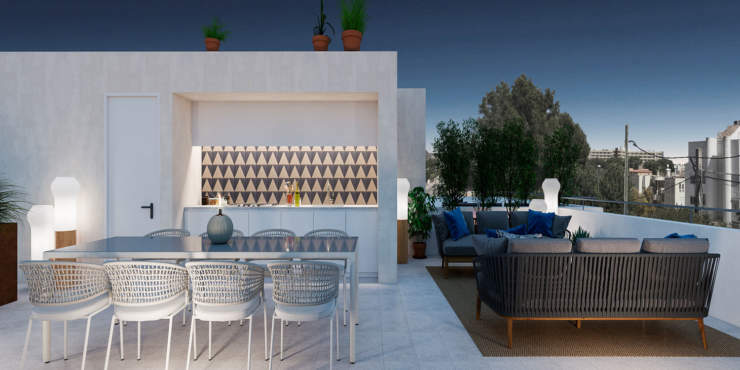 Away from the hustle and bustle, a Mediterranean garden with fruit trees, a swimming pool and a variety of terraces provide the ideal ambience for enjoying down time with family and friends. 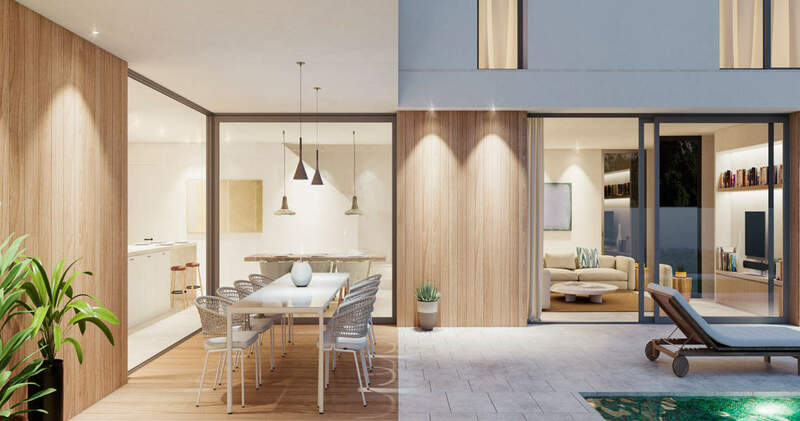 The ground floor will comprise a spacious living/dining room, high-end fully equipped kitchen with pantry, a bedroom and a bathroom. Upstairs will accommodate three en suite bedrooms. 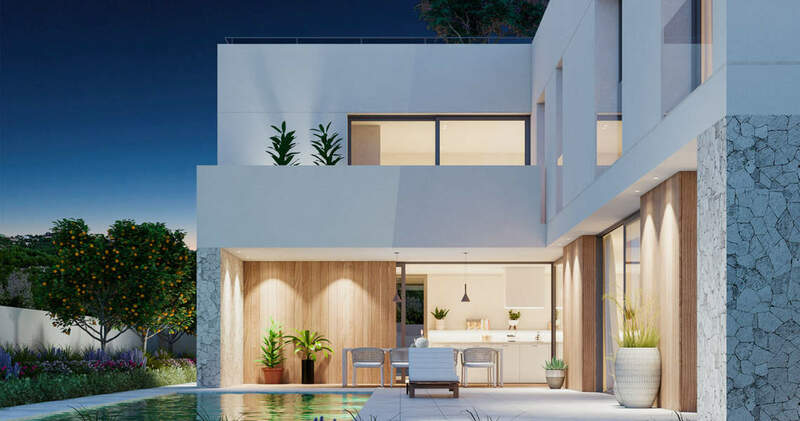 The crowning glory of this south-facing villa is its 107 m² roof terrace with lounge area, outdoor kitchen and utility room. 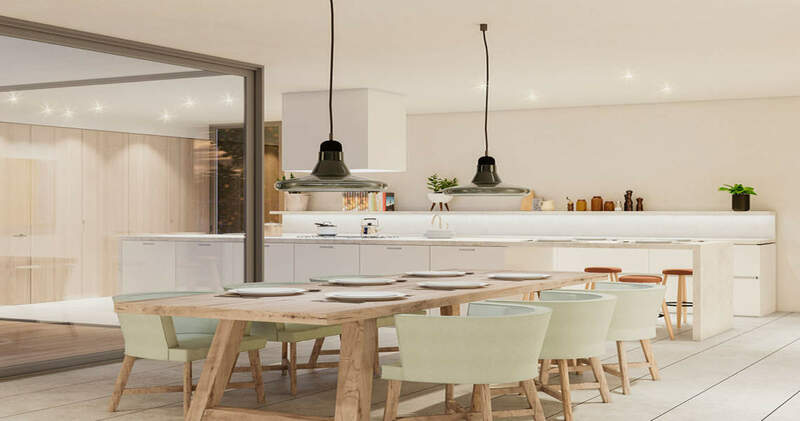 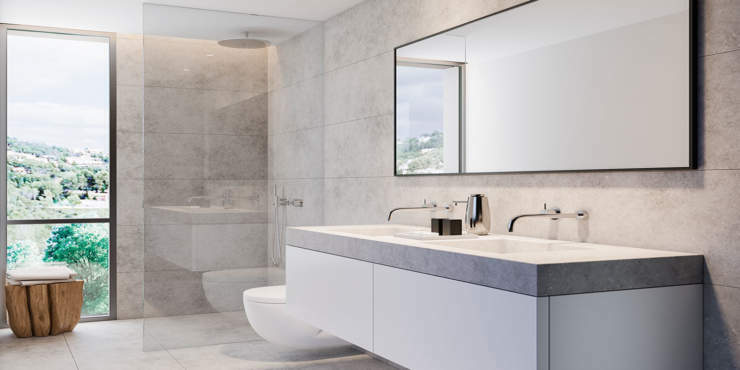 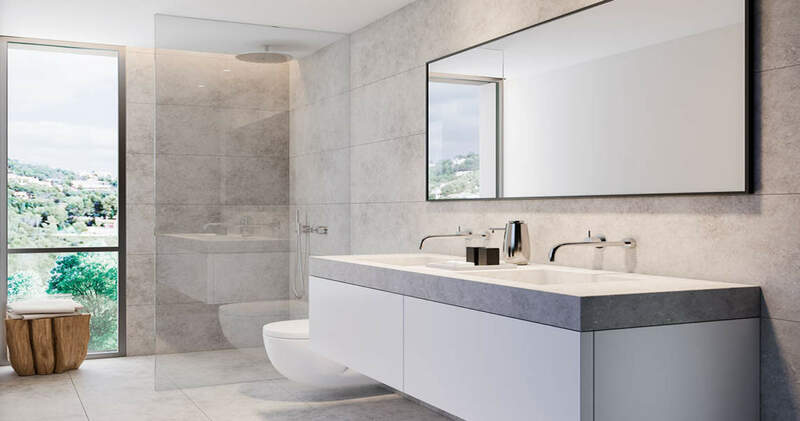 In all rooms optimized functionality and maximum use of light are at the forefront of the design, while the use of natural materials such as wood and stone in neutral colours, create a relaxed and inviting atmosphere. 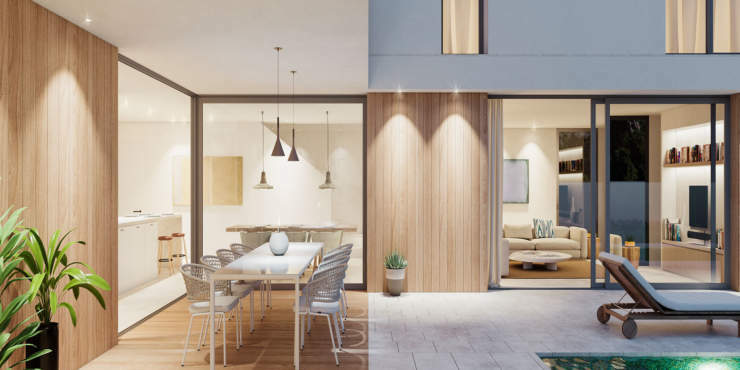 Two parking places in front of the house entrance are an additional significant asset. 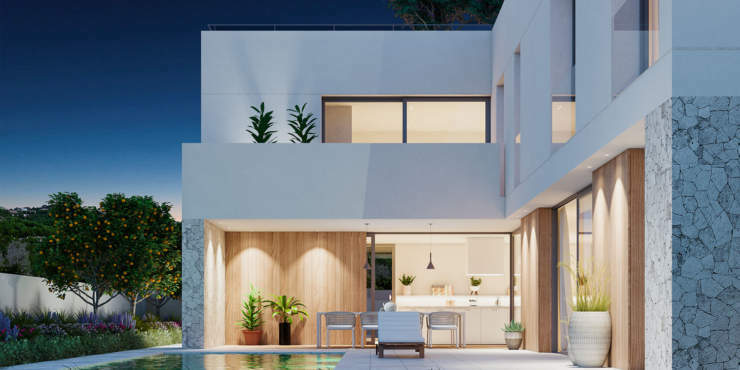 This exclusive villa is aimed at those who appreciate the quality of life of a quiet residential area but also want close proximity to the city at the same time.